There’s nothing better than a recipe that requires nothing more than throwing a few ingredients in a slow cooker. 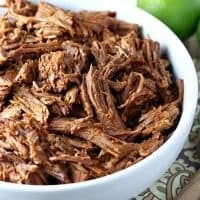 Which is why I love this Slow Cooker Shredded Beef for Burritos. Of course, you don’t have to just use this tender, shredded beef in burritos. It’s also great for tacos, enchiladas and quesadillas. This is one of those great slow cooker recipes that can be used in so many different ways. But our favorite way to serve it is with flour tortillas, rice, beans, cheese, guacamole and other favorite burrito fixings. It’s also great for game day, and even makes delicious pulled beef sandwiches. Just pile it into crusty sub buns and top with your favorite cheese and barbecue sauce. It also freezes well, so it’s nice to keep on hand for those busy week nights when you know you won’t have time to cook! This makes enough to feed my family twice, and since it can be used in a variety of dishes, there are no complaints about leftovers. You can use mild or medium taco sauce, whichever you prefer, and feel free to make it even spicier with the addition of more cayenne pepper. 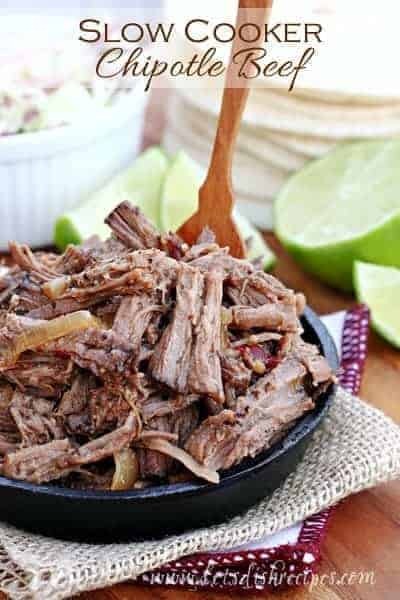 This Slow Cooker Beef for Burritos is pretty much one of those no-fail recipes that my whole family loves! 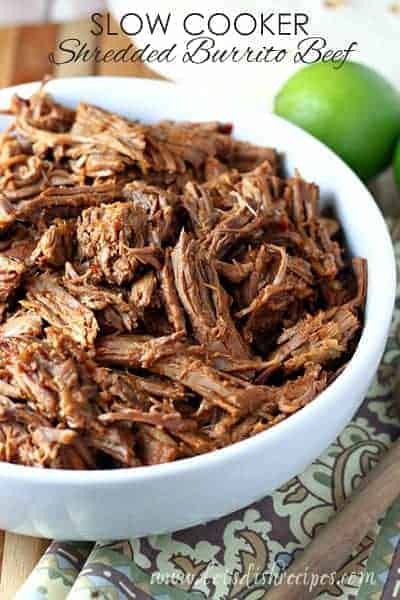 The beef always turns out tender and juicy, which makes this one of my go-to recipes for Tex-Mex fare. Hopefully you’ll love it as much as we do. 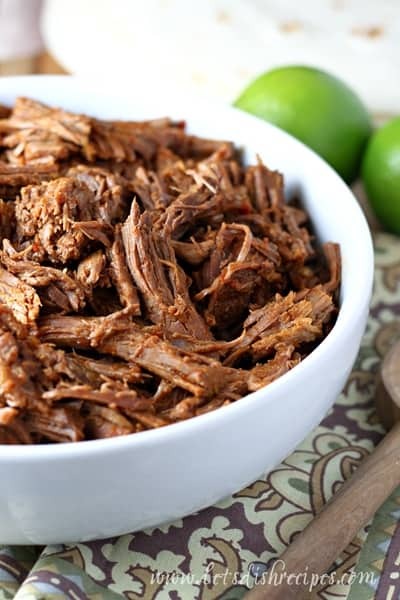 Be sure to save this recipe for Slow Cooker Shredded Beef for Burritos to your favorite Pinterest board for later. Place all the ingredients into a lightly greased slow cooker. Cover and cook on high for 6-8 hours, or on low for 10-12 hours. Before serving, shred beef with a fork. Use in burritos, tacos, enchiladas or sandwiches! 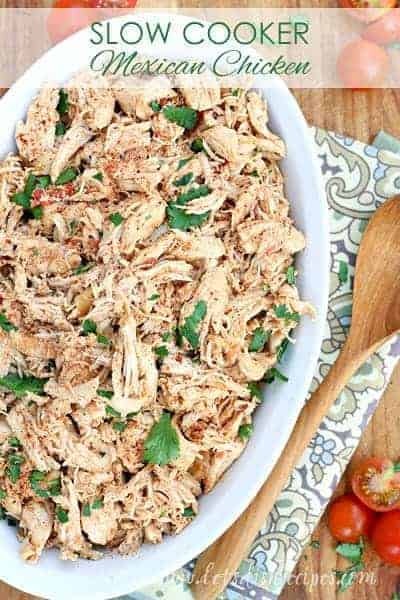 Posted up this yummy Mexican recipe on Midchix under the Mama Can Cook Flock!!! Linking it back to you! Hope it brings you some new readers! Looks so yummy!! 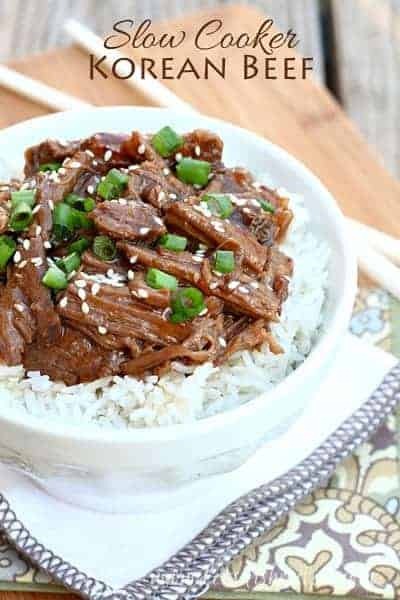 Was actually looking for a new slow cooker recipe have a really busy weekend coming up and this is perfect!! Thanks! I am now officially stalking your blog!!! Yes I am a Blog Stalker!…..I am sending you some Link Love…posting you up on my blog today! I am SOOO HUNGRY!!! NOT FAIR!! Have a great cooking day! OMG! I tried to edit my comment and when it wouldn’t let me, I deleted it and posted another but now that I look, it’s not here!! What the heck???!! Anyway, I had just wanted to say how much we loved this recipe at our house and thank you for posting it. My hubby said they were the best beef burritos he’s ever eaten, and that’s high praise considering how many he has eaten in his lifetime, lol!